In this paper, a general scheme is proposed for Multi Input Multi Output (MIMO) systems with time delays by using closed-loop gain shaping algorithm (CGSA). The controller is designed based on the minimum phase(MP) part of these processes. For every closed loop, there is the unique variable parameter, the performance and robustness can be tuned quantitatively to satisfy the practical requirements of project. Finally, three examples in published literatures are performed to illustrate the effectiveness of proposed method. Compared with the relative references, the control performances of proposed method are superior to those of existed research, and the control scheme is with advantages of concision and efficiency. Recommended by Associate Editor Ning Sun under the direction of Editor PooGyeon Park. This work was supported by the National Science Foundation of China (Grant No.51679024 and 51779029), the Fundamental Research Funds for the Central University (Grand No.313201 6315), the National High Technology Research and Development Program of China (Grand No.2015 AA016404), and the University 111 Project of China (Grand No.B08046). Zhiheng Zhang received his B.E. degree in navigation technology from Guangdong Ocean University, Zhanjiang, China, in 2016. He is working towards an M.E. degree in traffic information engineering and control from Dalian Maritime University. His current research interests include ship motion control, robust control and control theory. Xianku Zhang received the Ph.D. degree from Dalian Maritime University (DMU), Dalian, China, in 1998. Currently, he is a professor/doctor supervisor at DMU. 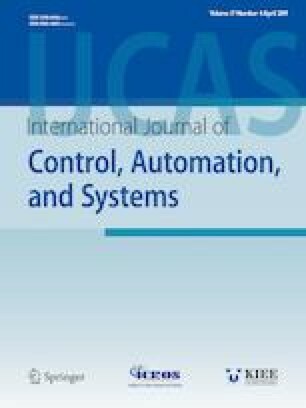 He authored or coauthored 240 papers, among which 26 papers are referred by the Science Citation Index and 90 papers are referred by the Engineering Index, and 15 books in the fields of ship motion control, robust control, intelligent control, and computer programming. His current research areas are robust control, nonlinear control, and their application on the marine control system.